How do you create a flexible environment that captures C-level imagination, engages conversations and demonstrates leading innovation on a global scale? 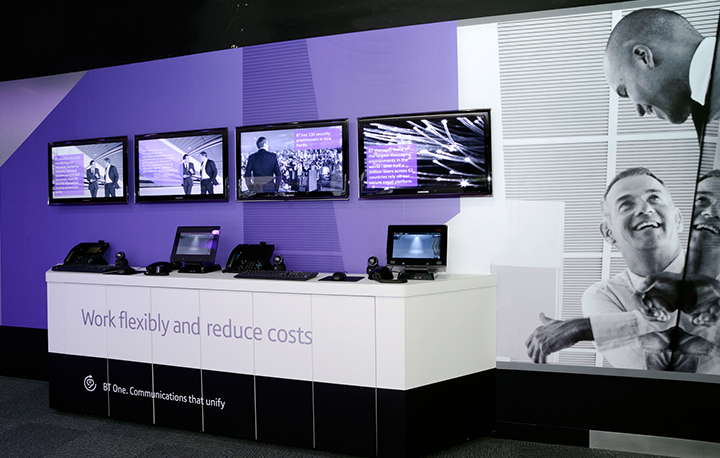 The Brief: BT has a vast portfolio of innovative technology solutions and professional services that enable businesses to improve performance. 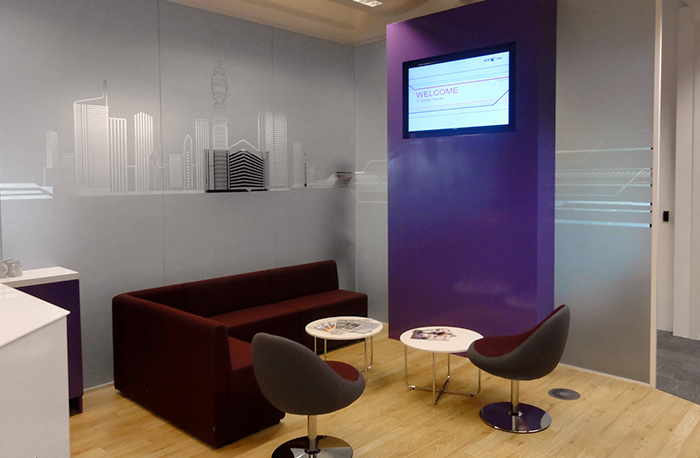 But with such a huge array of often very complex capabilities to bring to life, they needed JPC’s help in creating an experience that would allow BT to deliver a consistent, but highly personalised customer journey, across the world. Our Solution: To date, we have designed, developed and built over 19 BT showcase environments worldwide, including the UK, Europe, AsiaPac and the Americas. 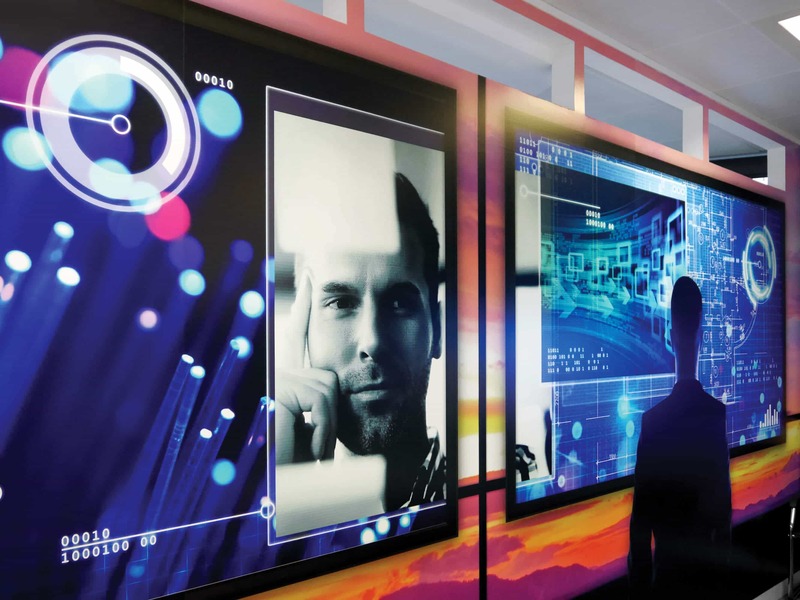 A carefully balanced blend of immersive experience, brand story and leading edge tech, the showcases have the flexibility to tailor specific customer scenarios whilst inspiring conversations and innovation. For global consistency and efficiencies we based them on a single blueprint that was customised to engage customers in a bespoke, experiential journey based on individual business needs and the challenges of the local markets. 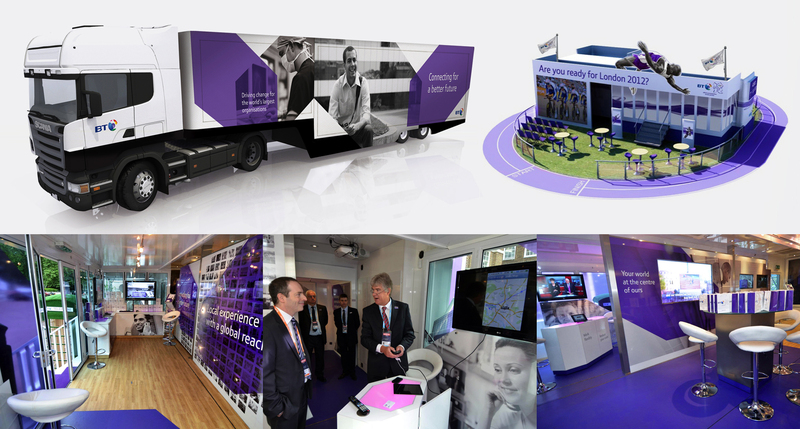 To further support in approaching remote or time poor customers we also took the experience on the road, bringing innovation directly to them using a mobile showcase we called the Vehicle for Change. Equipped with the same brand experience and technology used in the fixed showcases, the Vehicle has now visited customers in five countries in mainland Europe along with countless cities around the UK, helping to – very literally – drive their journey to transformation. The Result: Significant global sales revenue and pipeline business has been achieved directly linked to the Showcase experience. 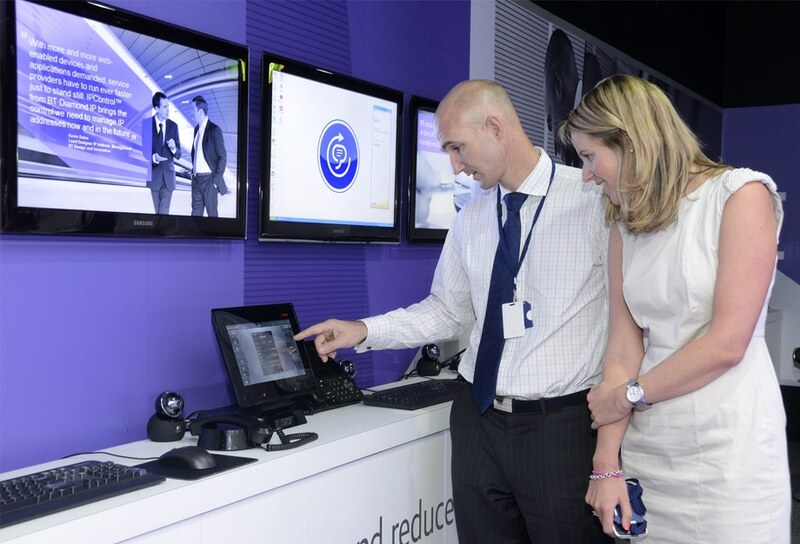 BT have seen an uplift in pipeline conversion in excess of 60% when customers have experienced the ‘art of the possible’ in action during a BT showcase visit. 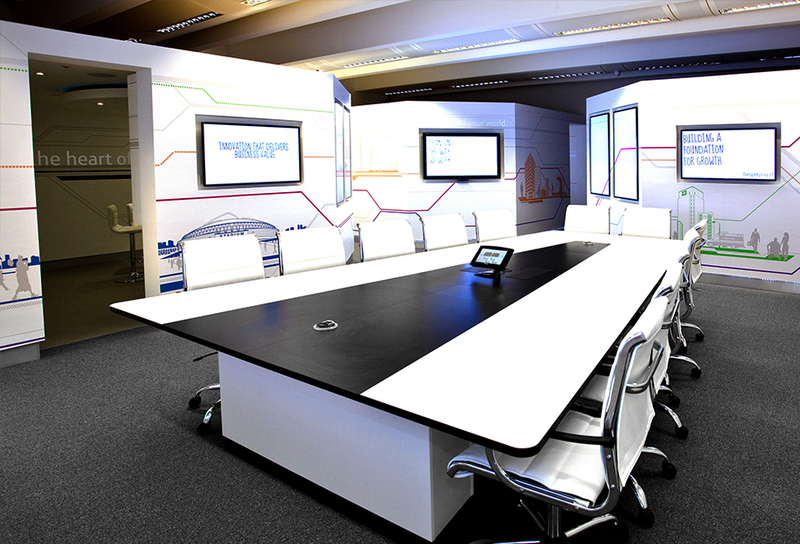 JPC have significantly helped reinvigorate our communication mix via their undoubted creative and strategic ability. They have made us think differently, have consistently delivered on time and on budget and have achieved strong sales results through their fresh and integrated approach.